As we mentioned in our previous post (Strategy 101 – The Wooden Monster), the Purple Dragon is the 10th level in Spells of Genesis and the second Boss level. Please be aware that your enemies’ orbs can be upgraded ! For example, during the first round/wave of the 1st star, you will face an Enraged Exterminator (level 2 of Brothers of the Night) and a Sentinel Obscuras (Level 2 of Obscuras). Beware of the spikes! Aim your shot as much as possible toward the center of your opponents’ orbs and try to push THEM into the spikes! In the first round of the first star, you ‘ll be facing one Dog Enhancer and one Harbinger of Death. 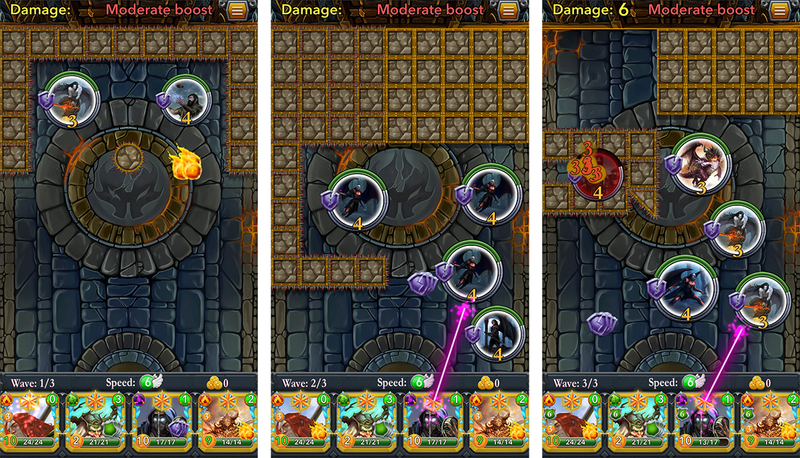 Hit them on the center of their orbs to push them against the top spikes while avoiding unnecessary damages. In the second round, your opponents are three Sentinel Obscuras and one Obscuras. You’ll need some firepower to defeat them! An Aodh the Dark or a Trident Queen may be useful to weaken them or boost your shots! Aim to the right of the orbs and use the wall to rebounce your shots. In the third round, the Obscuras are quite resistant to your shots. 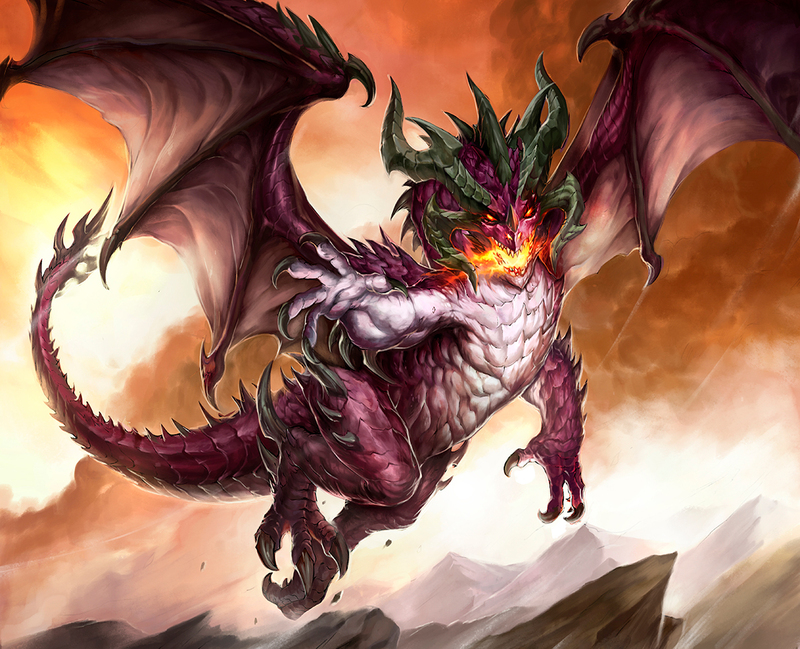 Plus, you’ve got a Purple Dragon inflicting more damages to your team. The moving wall may be used at your advantage if you succeed in pushing one or more orbs into the maws of death! And beware of the spikes! How to select your team ? Build a team with a total Speed strength between 3 and 5. Limit your total Speed to avoid bouncing your orbs into the spikes and sustain unnecessary damages. Your first 2-3 cards should have enough Power to kill the Harbinger of Death and the Dog Tamer. 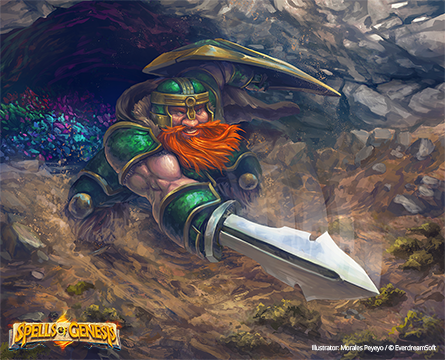 Be careful of the spikes which can quickly drain all the health of your cards. Try to push your enemies onto the spikes to diminish their health. And on the third wave, if you are lucky, you can even push one or two enemies into the moving claws of death which will crush them completely. If you can, select a card with “Fire All” to shoot most of your enemies into round 2 and 3. If you don’t have a “Fire All” card, you can use one or two with a strong “Fire” spell. On round 2, try to hit your enemies on their right side so your orb may rebounce against the wall and hit them once or twice again. The position of your cards in your team is crucial to give you the best chance to win. 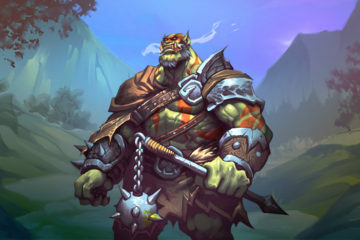 In the first round, a Darken All card like a Yellow Shaman followed by a Fire All, or cards with good Strength are your best options but you may try your luck with Shield or Freeze cards as well. 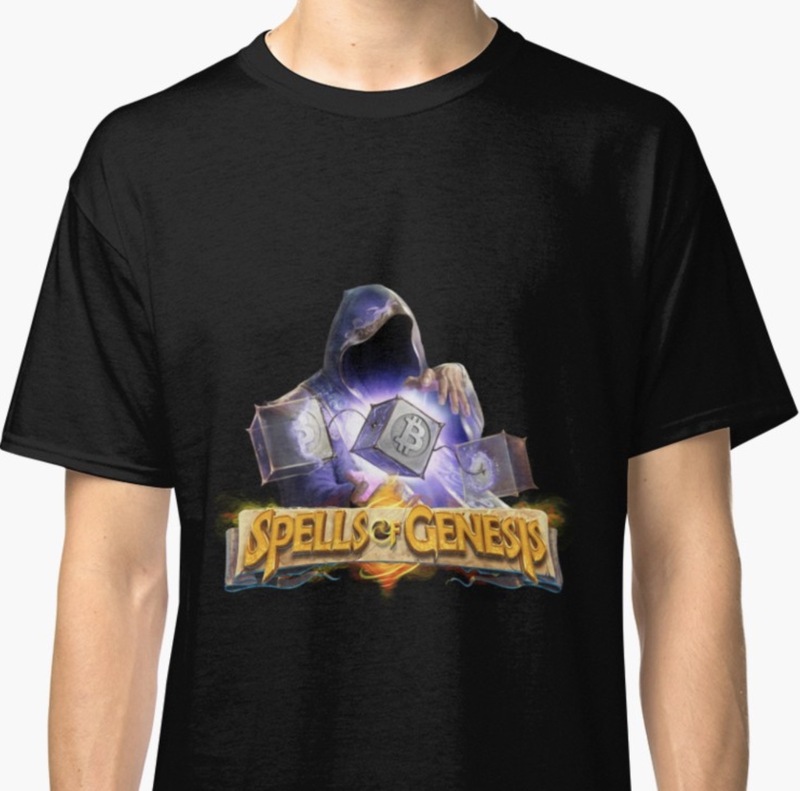 Order your SoG t-shirt now! 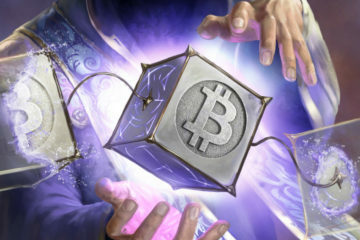 Purchase a beautiful poster of your blockchain cards on SogBazaar. Different sizes available. Purchase of Gems with BCY available! 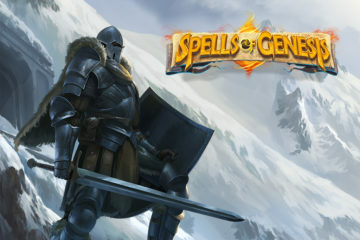 Spells of Genesis is a Mobile trading card/arcade game integrating bitcoin and blockchain technology in its game economy as well as its storyline.